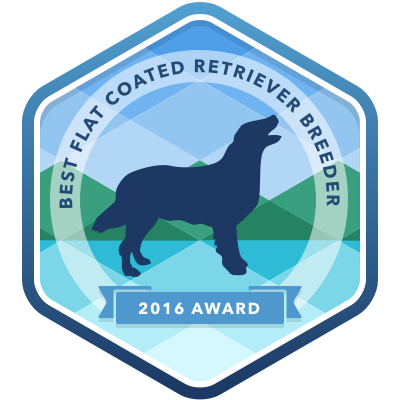 We have over 25 years of experience with Flat Coated Retrievers (and other breeds). We strive for a true multi-purpose retriever and breed only to achieve that end. All of our dogs serve as companions ... be it in the field, show ring, obedience ring, or on the sofa. We are proud to be recognized as an AKC Breeder of Merit.